There are five basic components to roofs, which impact a roof’s performance. In this post we look at the five basic components and roof performance, providing homeowners with information to help them in discussing roof repair or replacement with roofing companies or contractors in the Dallas-Fort Worth area. Roof Covering. This includes shingles, tile, slate, or metal and an underlayment that protects the sheathing from weather. Sheathing. These are boards or sheet material that are fastened to the roof rafters to cover a home or building. Roof Structure. This is the actual roof, made up of rafters and trusses constructed to support the sheathing. Flashing. This is sheet metal or other material installed into a roof’s joints and valleys to prevent water seepage. Draining. This is not gutters but the roof’s design, which includes shape, slope, and layout that affect its ability to shed water. Roof performance is impacted by numerous factors. 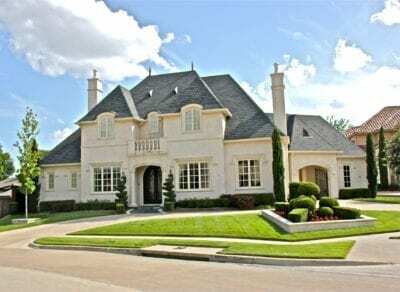 Knowing what impacts a roof will help homeowners in their discussions with Dallas and Fort Worth roofing companies and contractors concerning repair or replacement of existing roofs. Obviously sun is a big deal in the Dallas-Fort Worth area. Heat and ultraviolet rays, which beat down on Texas roofs throughout hot and humid summers, cause roofing materials to deteriorate over time. Did you know? Deterioration occurs faster on the roof sides facing west or south. Another big deal is rain, although it’s not as big of a deal as rain in Seattle. Even so, when water gets underneath shingles, shakes, or other roofing materials, it will work its way to the roof deck and cause the structure to rot. Not good. Did you know? Extra moisture encourages mildew and rot elsewhere in the house, including walls, ceilings, insulation, and electrical systems. Another big deal for homeowners is wind. High winds, which Dallas and Fort Worth residents deal with year around, can lift shingle edges (or other roofing materials) and force water and debris underneath. Obviously, extremely high winds can cause extensive damage and, along with hail and storms, is a major cause of roof repair in North Texas. Snow and ice is not as big of a deal in Dallas and Fort Worth as it is in, say, Denver or Minneapolis, but leading roofing companies and contractors do note that North Texas gets at least one (maybe two) significant ice/snow “storms” a year. Melting snow often refreezes at a roof’s overhang where the surface is cooler, forming an ice damn. This blocks proper drainage into a gutter or off the roof. Water backs up under the shingles and seeps into the interior. Not good. Did you know? During the early melt stages, gutters and downspouts can be the first to fill with ice and be damaged beyond repair, even tearing off a house. Condensation results from the buildup of relatively warm, moisture-filled air (prevalent in North Texas). Moisture in a poorly ventilated attic promotes decay of wood sheathing and rafters, possibly destroying the roof structure. Did you know? Sufficient attic ventilation can be achieved by installing larger or additional vents and will help alleviate problems because the attic air temperature will be closer to the outside air temperature. If you are unsure of your home’s ventilation, have a Dallas or Fort Worth roofing company, contractor, builder, or heating, ventilation, and air conditioning (HVAC) tech inspect the roof and attic. Moss and algae are rarely top of mind for most homeowners, but moss can grow on moist wood shingles and shakes. Did you know? Once it grows, moss holds even more moisture to a roof’s surface, causing rot. Additionally, moss roots can work their way into a wood deck and structure. Did you know? Algae grows in damp, shaded areas on wood or asphalt single roof systems. Besides creating a black-green stain, algae can retain moisture, causing rot and deterioration. Trees and bushes should be trimmed away from homes and buildings to eliminate damp, shaded areas. Tree branches touching a roof will scratch and gouge roofing materials when the branches are blown by the wind. Falling branches can damage and even puncture shingles and other roofing materials. Did you know? Leaves of a roof retain moisture and can cause rot. Leaves in gutters obviously block drainage. The key to a roof’s effectiveness is complete protection. When shingles are torn or missing, a roof structure is vulnerable to water damage and rot. The problem is likely to spread to nearby shingles, which rip easily and blow away in high winds and storms. These should be replaced as soon as possible. When shingles are worn, they curl, split, and lose their waterproofing effectiveness. Weakened shingles are easily blown off, torn, or lifted by wind gusts. The result is structural rot and interior damage. A deteriorated roof system only gets worse with time and should be replaced as soon as possible. Shingle deterioration is a big reason for roof repair in the Dallas and Fort Worth area. Many apparent roof leaks are actually flashing leaks. Without tight flashing around chimneys, vents, skylights, and wall/roof junctions, water can enter the home and cause damage. Flashings should be checked as part of a biannual roof inspection and gutter cleaning by Dallas and Fort Worth roofing companies and contractors. How Can a Home Owner Recognize Roof Problems? Roofs deteriorate at different rates, depending on variables like location, the elements (weather), materials used (cheap vs. top of the line), and age. Severe hailstorms and wind/rain storms are obvious indicators that a roof many be damaged or compromised. All too often, roof problems are discovered after leaking or other serious damage occurs. Biannual or annual inspections can uncover cracked, warped, or missing shingles, loose seams and deteriorated flashings, and excessive surface granules accumulating in gutters and downspouts. Other visible signs are indoors — cracked paint, discolored plasterboard, and peeling wallpaper. or re-cover the existing roof system, involving only the installation of a new roof system. If you’ve already had one re-cover installed on your original roof system, check with a Dallas or Fort Worth roofing company or contractor. In many instances, building code requirements allow no more than one roof system re-cover before a complete replacement is necessary. If There is a Leak, Does the Roof Need to be Replaced? Not necessarily. Leaks can result from flashings that have come loose or a section of the roof being damaged. A complete roof failure, however, generally is irreversible. Can Homeowners Do the Work? Most work should not be done yourself. Professional roofing contractors in Dallas and Fort Worth are trained to safely and efficiently repair or replace roof systems. You can damage your roof by using improper roofing techniques and severely injure yourself by falling off or through the roof. Maintenance performed by homeowners should be confined to inspecting roof systems during the fall and spring to check for cracked or curling shingles and cleaning gutters filled with dead leaves and other debris. If you must inspect your roof yourself, use a firmly braced or tied-off ladder equipped with rubber safety feet. Wear rubber-soled shoes and stay on the ladder (and off the roof), if possible. Most new roof systems are designed to provide useful service for about 20 years. Some roof types, such as slate, clay tile and certain metal (copper) systems, can last longer. Actual roof system life span is determined by a number of factors, including local climatic and environmental conditions, proper building and roof system design, material quality, proper application, and adequate maintenance.